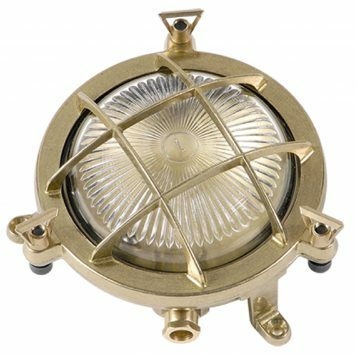 Add island style to any room with nautical wall lights. 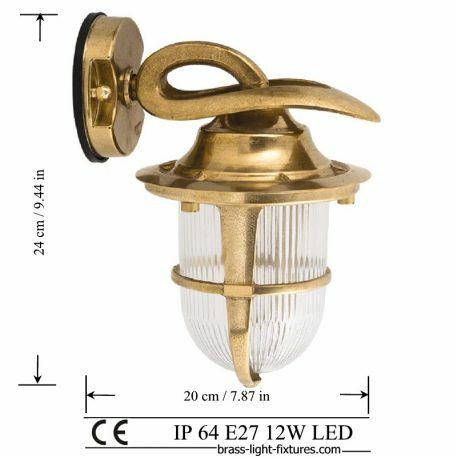 With ART BR423 Brass light fixtures, you can organize your outdoor lighting and combine them with other types you will find in our collection. Near the stairs leading to the second floor. Near the façade’s decorative elements with the purpose of illuminating them at night. They are also placed so as to illuminate terraces, courtyards, gardens, and other areas. 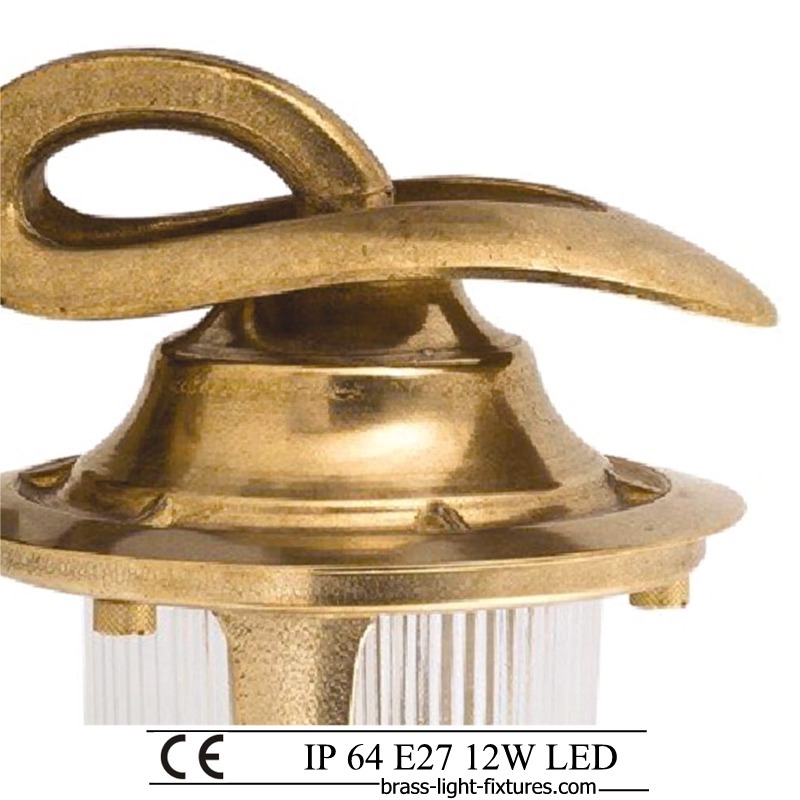 The purpose of installing these lights is to provide the necessary level of lighting in a particular area. 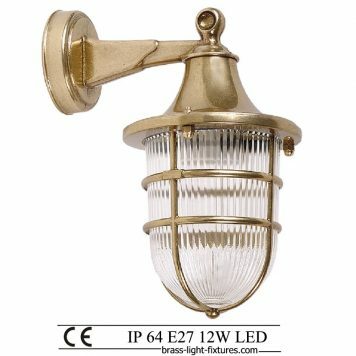 The diffused lighting of these light fixtures is enough for a person to feel comfortable when in the lighted area. It is worth noting that all light fixtures used in the exterior lighting system offer an extensive variety of shapes and sizes as well as stylistic performance. The characteristic they all have in common, however, is their IP64 water resistance rating. 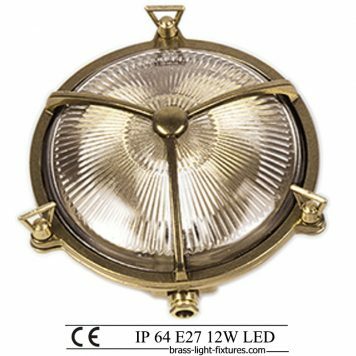 This water resistance rating allows light fixtures to withstand the ingress of foreign objects and water spray. 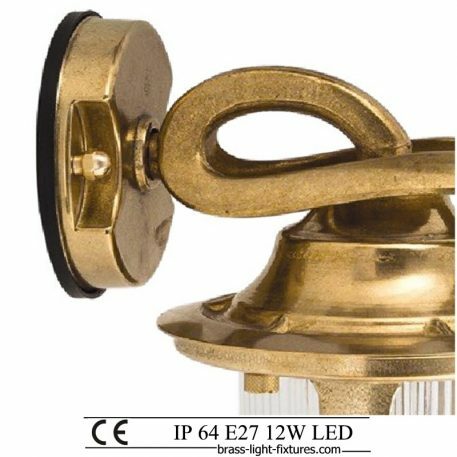 Brass wall lights will not deform and will maintain their properties when exposed for prolonged periods to sudden temperature changes, high humidity and other adverse weather conditions. They can be easily installed either on a wooden base, on concrete, brick or elsewhere. 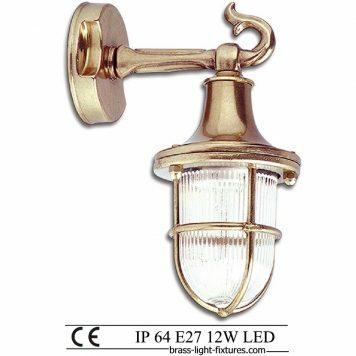 Sconces are an excellent way to decorate interior walls and add extra lighting to rooms. 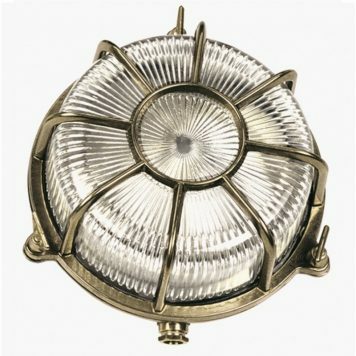 They will offer a luxurious and aristocratic touch to your interior space. 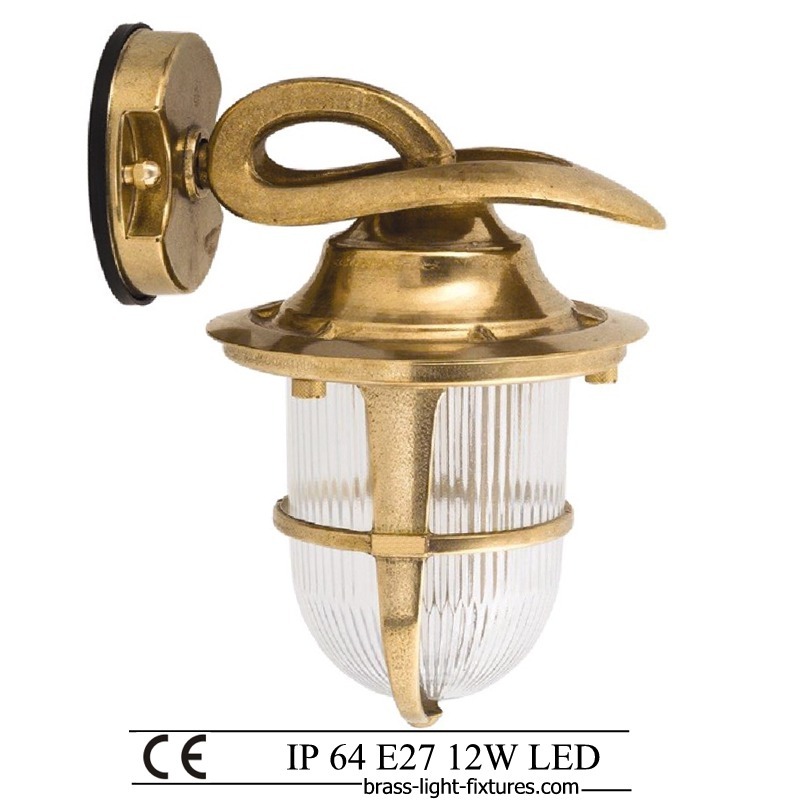 All brass light fixtures operate with LED lamps. 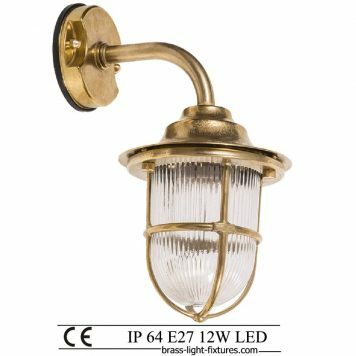 Their advantages in comparison to incandescent and halogen lamps are low energy consumption and a long-life cycle, minimizing maintenance and replacement costs. Moreover, they are compact and resistant to shocks. Ship lights. 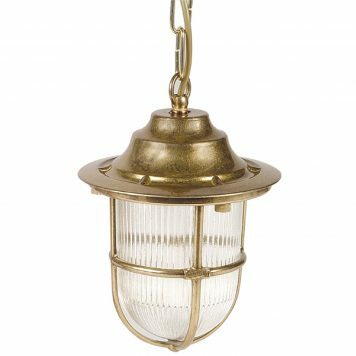 Brass nautical lights. Warehouse lighting 1x17W LED, E27/ES, IP64. 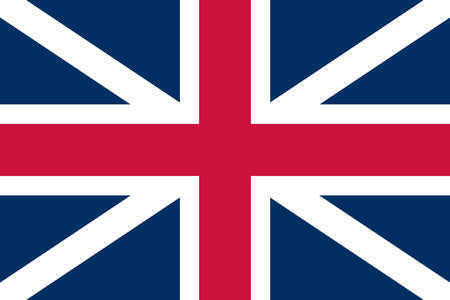 Making a payment to us through PayPal is easy. You can use your existing PayPal account or pay by credit card even if you don’t have a PayPal account. An address is confirmed if the buyer’s credit card billing address matches his or her shipping address. 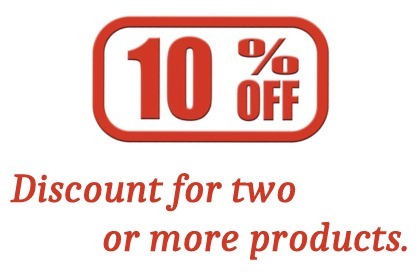 Special promotions available for lights items!